Another year, another loss to a top 10 seed! At least I got a half point this year. I think I played pretty well in the first two games despite my long hiatus, but the lack of familiarity with Empires definitely doomed me in the last games. I opened Horse Traders/Warehouse vs. Horse Traders/Hermit, and won the Peddler split as a result. hakase used Raze and Hermit well to keep around 15 cards for Wall; meanwhile, I aimed to get a lead on Provinces and Ritual some Peddlers. I feel like I missed a good chance to win here, probably trashing Peddlers too early. We did some endgame dancing with Duchies and Ritual, and on my final turn I got stuck on $3, ahead 45-44 with 1 Curse left for a three-pile. I had a Curse in hand to trash with Ritual, but $1 short, so I passed and fortunately he was only able to tie. Another very tense endgame. 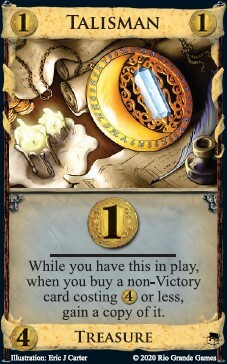 I opened Urchin/Urchin going hard for Mercenary, while hakase got a 5/2 for Sentry/CotR. Eventually, our decks weren't too different. I won the Distant Lands split 5/3 for a small lead, but by the time I ran out of Mercenary fuel our decks were basically the same (four treasures) except I had the Mercenary to threaten something drastic and he had the Sentry (maybe 2?). He used Seaway on Urchin, I used it on Island (primarily to keep pace in gaining Islands), and then we danced on all the victory piles. Eventually the Islands were gone and we were down to 2 each of Province, Duchy, and Estate - with $5, I had to buy a Duchy and hope he only hit $5 (I had 2 Gold in hand if he missed), but his Sentries got him to $7 for the win. 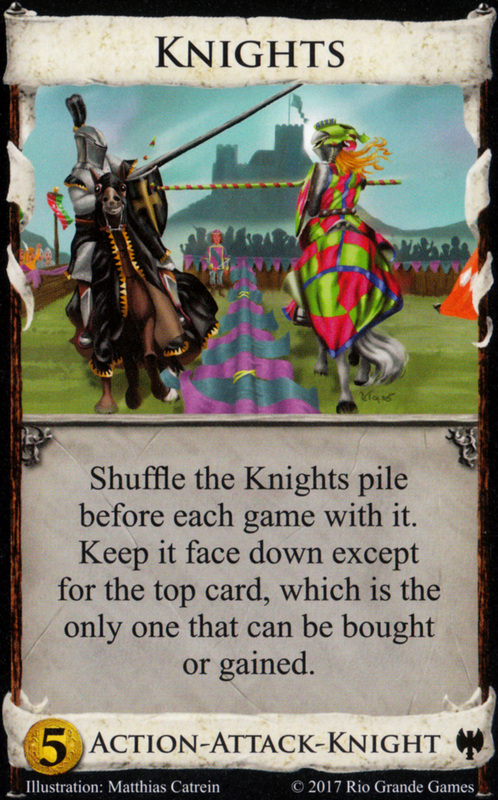 I lost this on the opening; I hovered over Overlord for a long time but finally opened Silver/Silver and picked it up next turn. 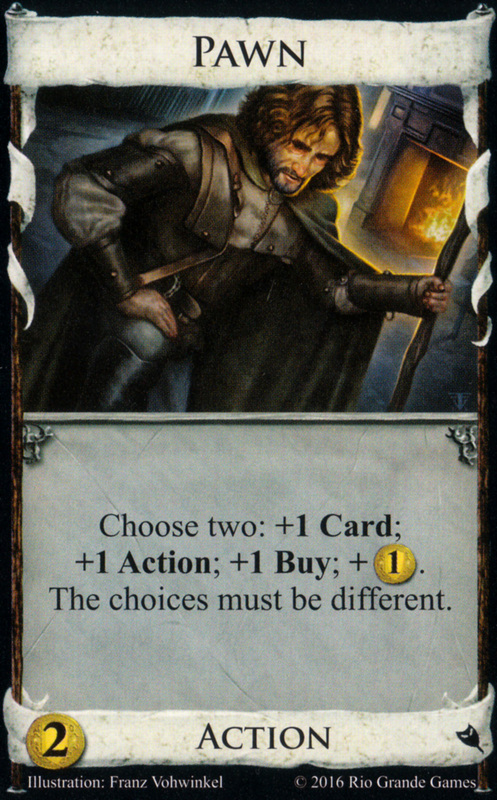 He opened Silver/Overlord, and was able to immediately start hitting with Ghost Ship for an easy win of the Governor split and also fairly early buy of Mint. After buying Overlord too late, I think I bought City Quarter a bit too early and was never able to trigger it... which discouraged me from buying more. 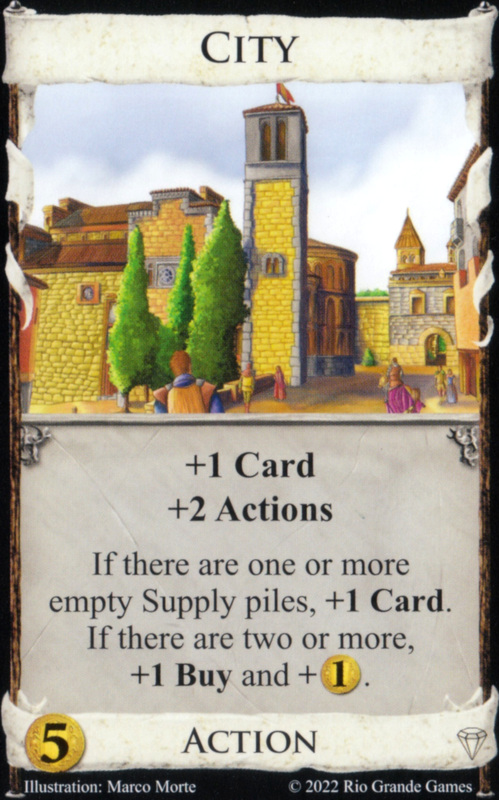 He waited a little longer but then bought 3, and was able to draw his deck several times and eventually pile out with Stonemason gaining more Stonemason etc. This was pretty close otherwise - we hit each step of the Traveler line on the same turns - but hitting the City Quarters consistently meant this was never in doubt. Is there a way to nicely put the Kingdom images in here like we do on f.ds? It's so much easier with images than just a list. Use Gear to stack up Capitals to hit $14 for Dominate, then pay off the debt later. Jfrisch suggested Fool's Gold as an option instead of Silver, I'm not sure how I feel about it. Teacher tricks with Dungeon to upgrade Peasant quickly. I get ahead with early $5, give up part of my lead by having weird turns, and then lose the lead when I dud for a turn. Polk gets a pileout where he wins by 1 VP while gaining 10 Curses. Kind of a weird board, turned into an Overlord powered engine. 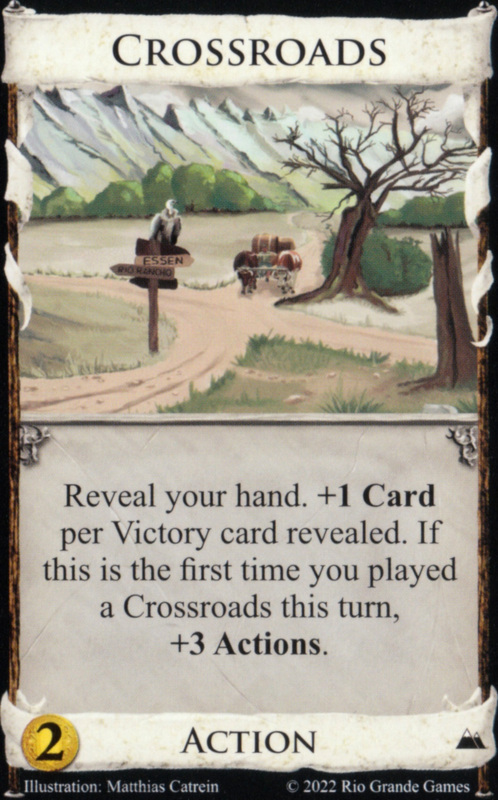 I get an early Province which interacts in a hard way: it gets topdecked by Rabble which is bad, but it makes Chariot Race activate more often, and lets you play Overlord as Explorer to gain Gold to hand. Having 6 Overlords to 4 and a cleaner deck let me build enough advantage to win. 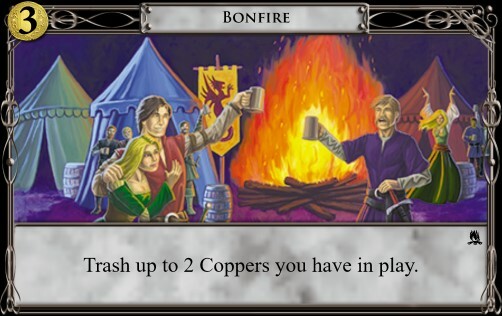 Tax + City Quarter + Cultist with Moneylender to get rid of Coppers. Game comes down to who gets their City Quarter to go off and who doesn't. Polk does some nice things with Taxman. Explosive game with trashing, Menagerie, Villa, and Horn of Plenty. Move to buy phase, play duplicate treasures, buy or gain Villa, play activated Menagerie, and repeat. I have a complicated win on my 2nd to last turn, but miss it. I miscount, then win anyway because Polk had a dud turn. Goons game with Haunted Woods for draw, plus Chapel and Wandering Minstrel. Polk opens a bit better and gets a great draw, I never catch up. I was sitting there chanting, "Artisan an Outpost!" So there's my vote on that play. A couple of thoughts from the other side of the table. The thought crossed my mind, but I don't like Fool's Gold as much as Silver with Delve available, which I think we both utilized well. 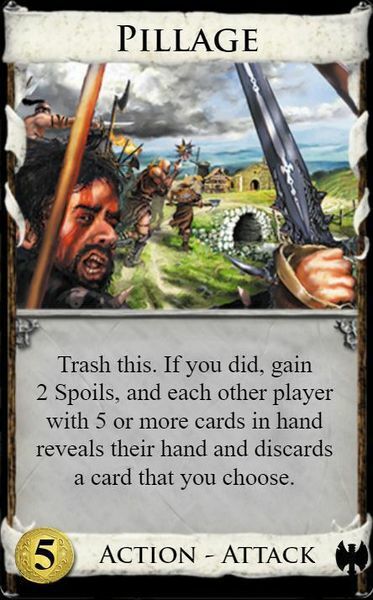 I had fallen behind on getting enough cards progressed in the Peasant line, but I had 4 Dungeons to Titandrake's 2 which gave my turns more consistency, so a dud on his part was more likely. I did feel like I was behind and purchased a Talisman late as a last resort of sorts. 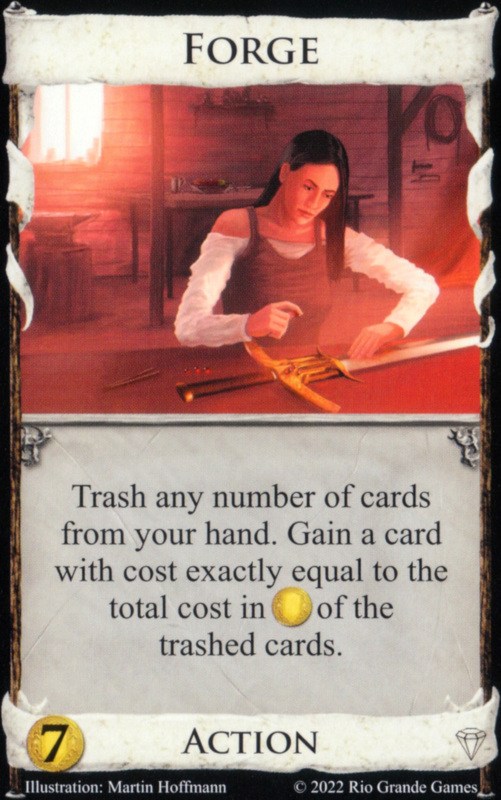 After he Discipled a Swamp Hag and played a Swamp Hag (which gives 3 Curses per buy) this gave me the pile-out even though I had only 3 buys. Labs were already empty and there were 4 Dungeons and 10 Curses. 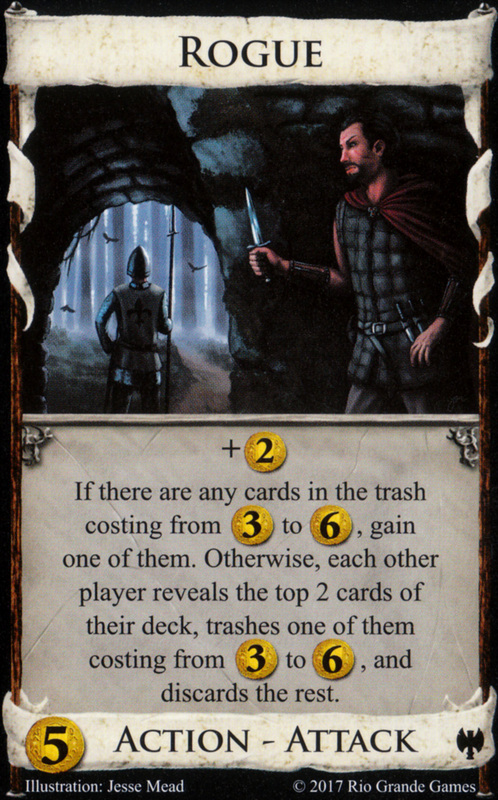 I went Dungeon-Dungeon-Curse to empty the piles with the help of Talisman for the first 10 Curse pile drive to a one point win I've had in, I think, years. We were commenting on how much rarer Curse pile drives seem to be with the newer expansions. This game was so confusing to me for some reason. 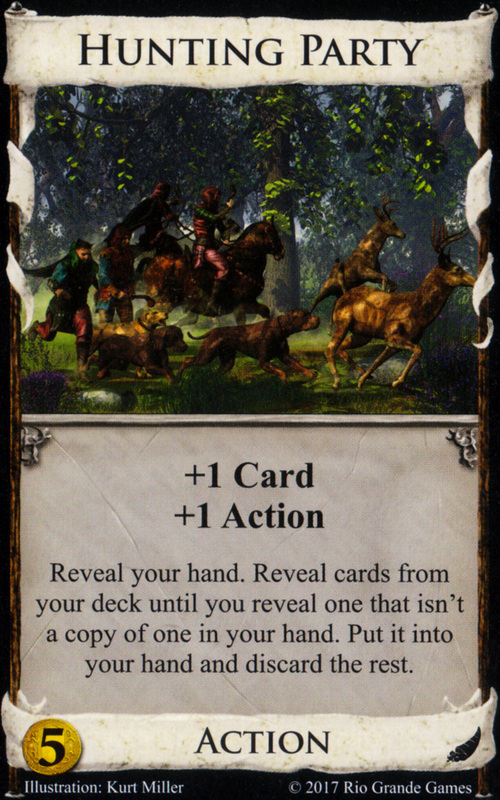 The Province interaction, for sure, but also I realized I didn't have a clear picture of how many Overlords versus regular copies of cards I wanted. I like to think my 3 Cultists to his 2 made a big difference, but eh, probably not. I don't utilize Villa well and missed a ton of opportunities, I'm sure. I thought my Steward-Steward was a better opening until I realized how much explosive potential in the kingdom there was. Now, I am not so sure. I do like Chapel-Minstrel openings, but I didn't know what to do with myself with such perfect shuffle luck on t3 and t4 and sat there for a minute trying to make sure I didn't somehow screw it up. The early Haunted Woods activation and Goons buy gave me enough of a lead to win the Minstrel split 7-3 and pretty much cruise for the win. huh, now I feel way more confident about this decision! I take that the answer is "no"? I don't know what people use to generate the relevant code these days, but both f.ds and this forum use the same software, so the code you post over there should work here as well, e.g.